A large extent of the mountainous country south and east of the Upper Wairau River is designated as the Leatham conservation area. It is no longer grazed by stock and is open to recreational users. 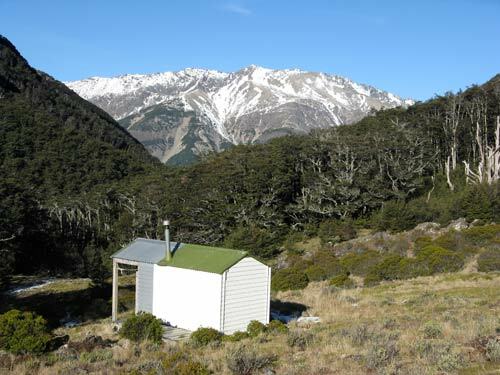 This two-bunk shelter is on Lost Stream, in the middle of the conservation area, at the base of the Raglan Range. The snow-capped St Arnaud Range is in the distance.